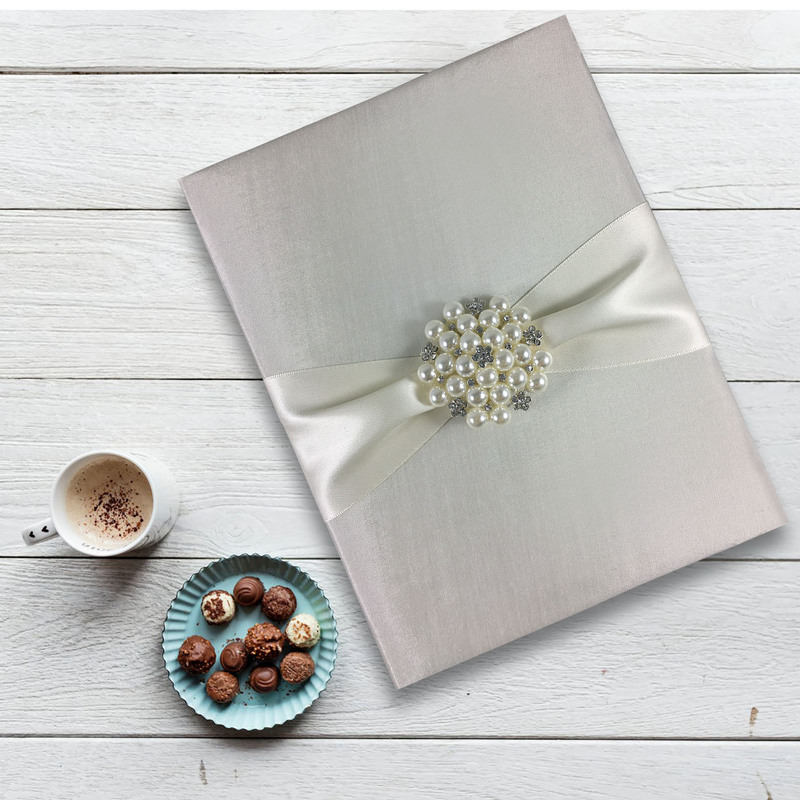 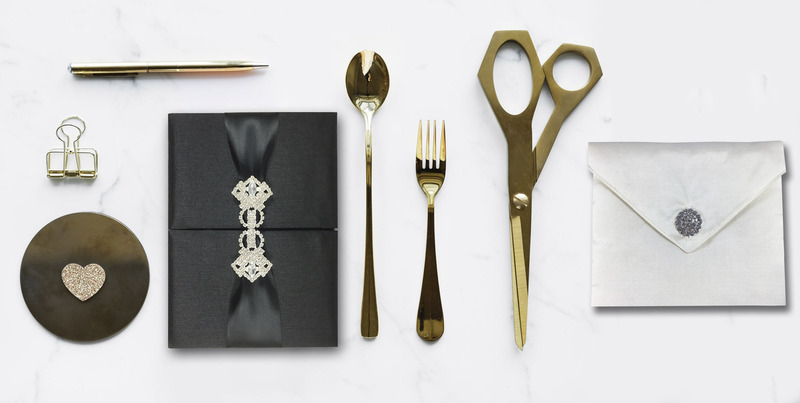 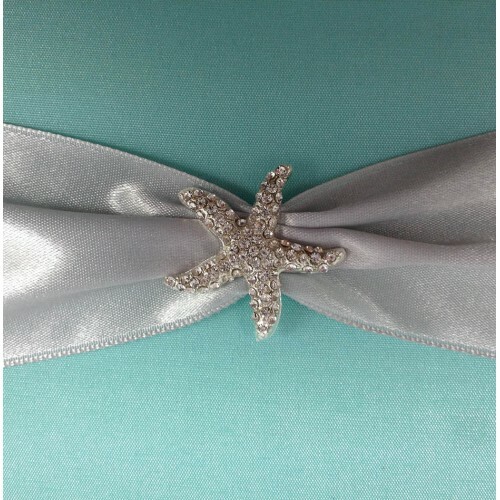 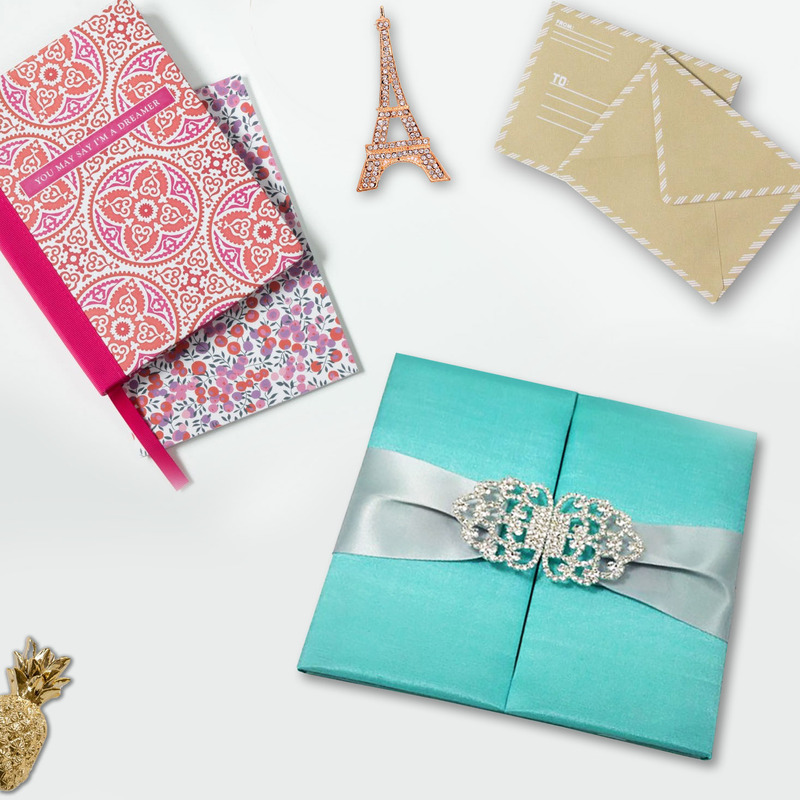 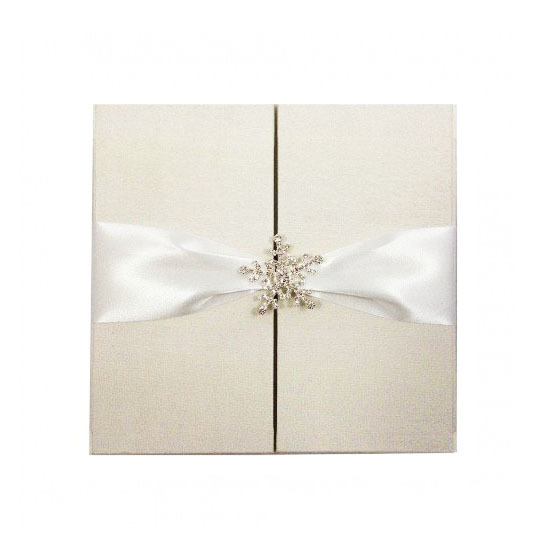 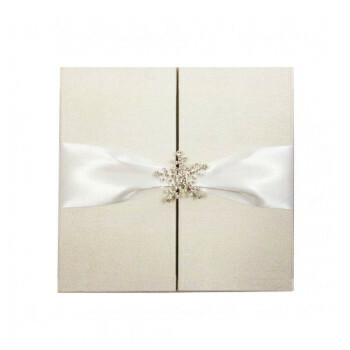 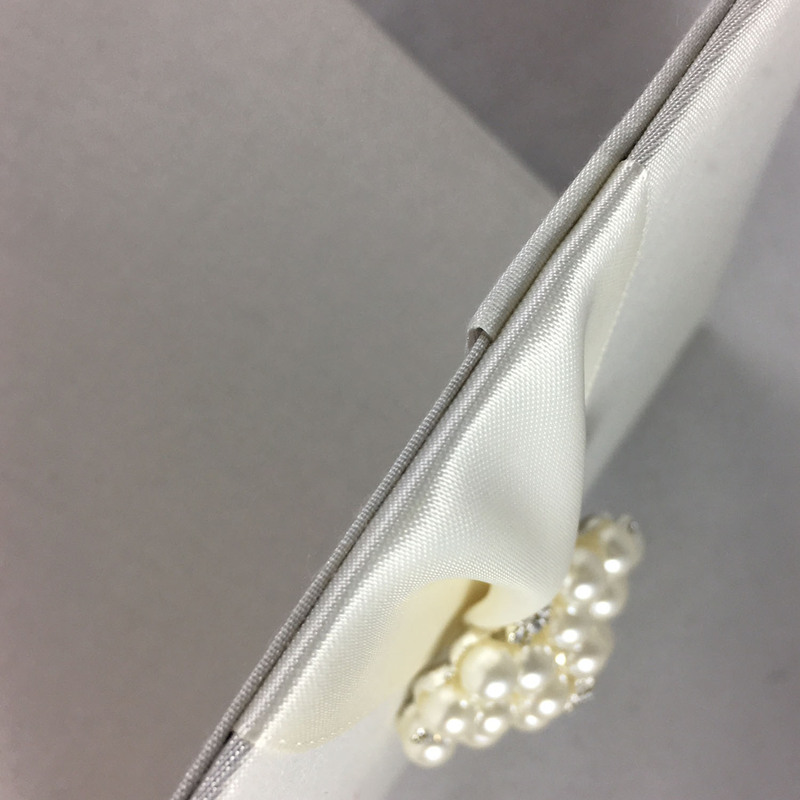 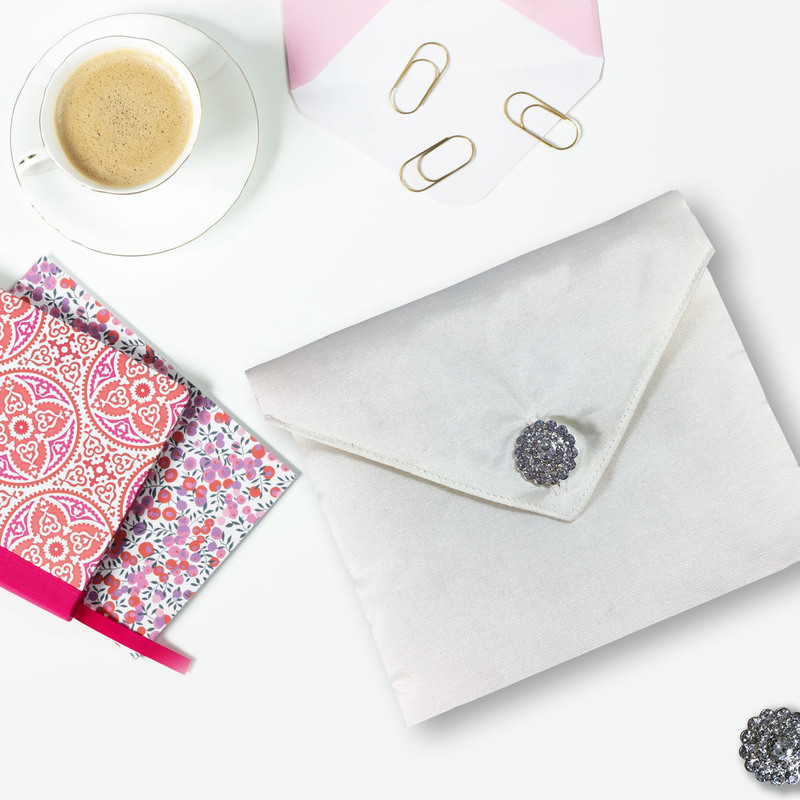 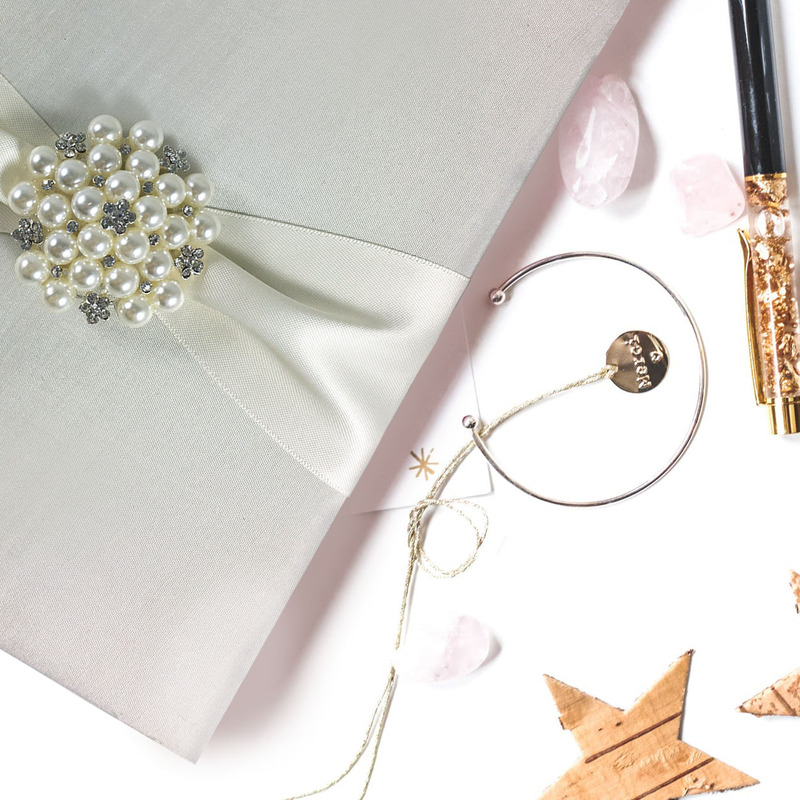 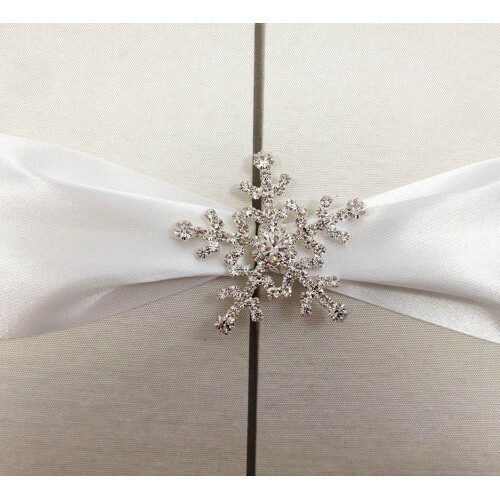 Pearl invitation designs have always been one of our most famous creations. 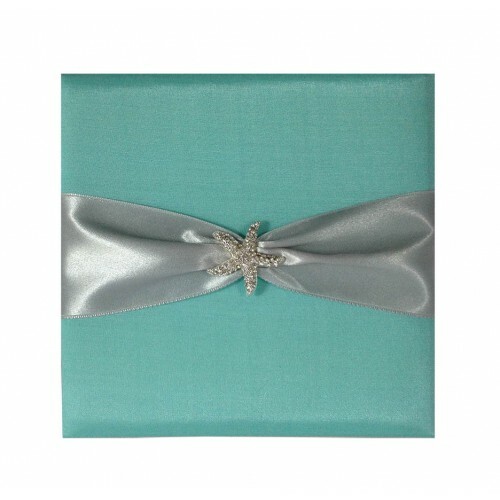 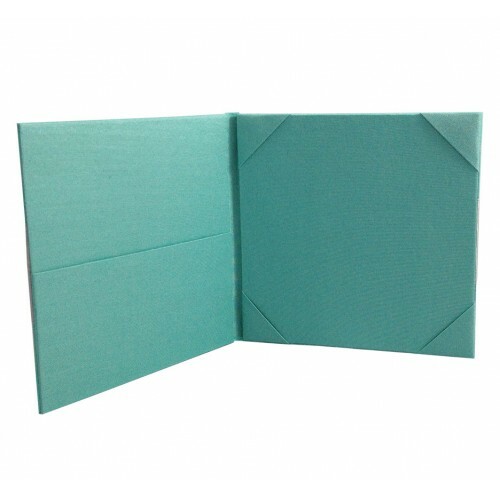 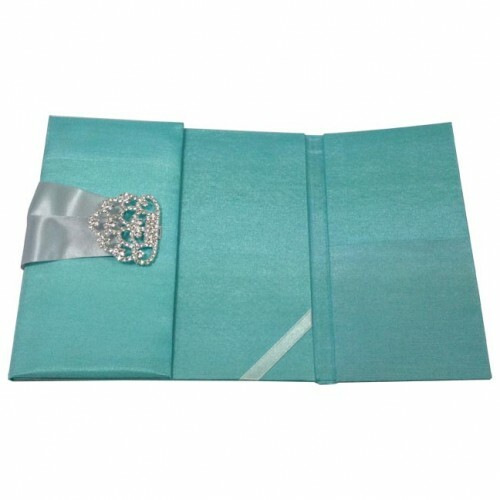 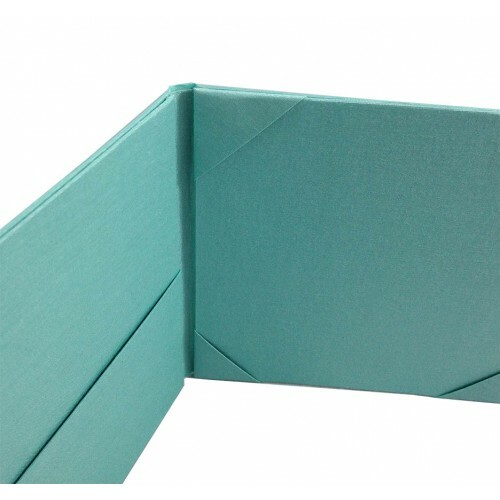 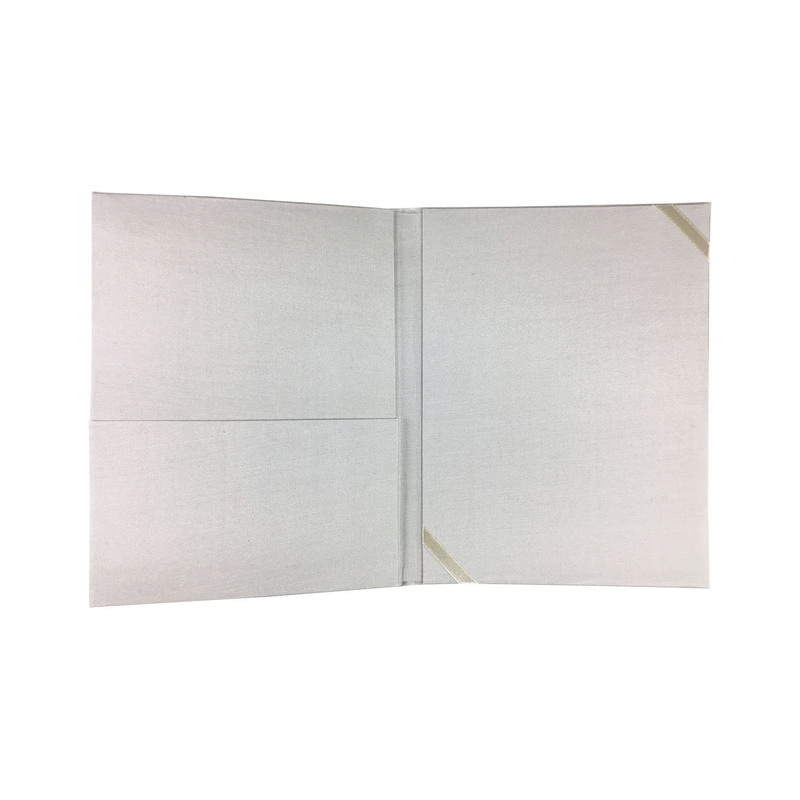 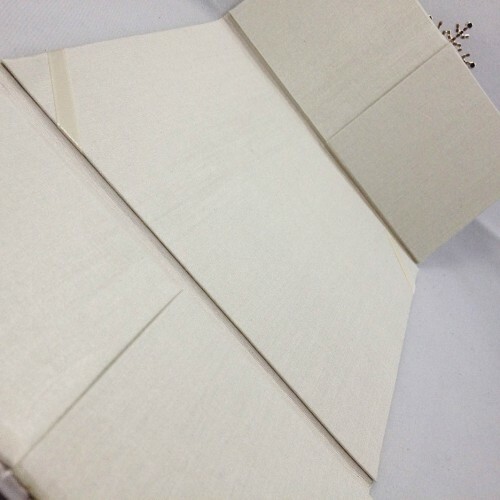 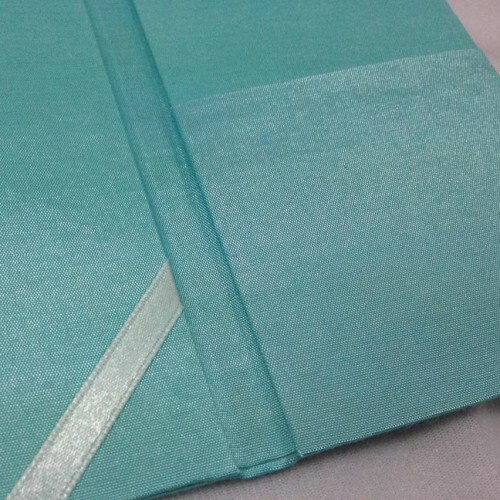 Now with this silk covered folio invitation design you can do nothing wrong. 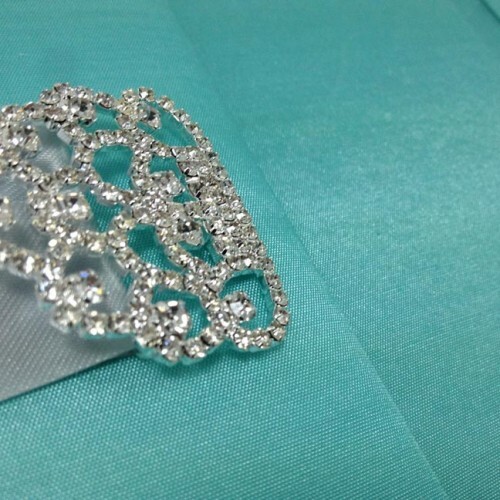 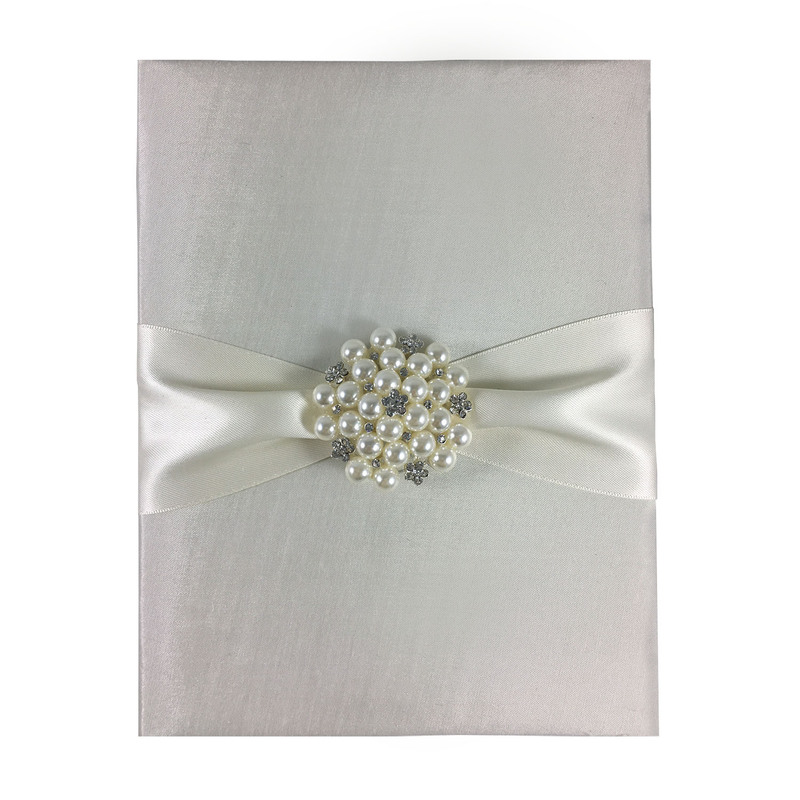 The padded exterior is embellished with either a two or three inches wide double faced ribbon and our large pearl brooch featuring rhinestones. 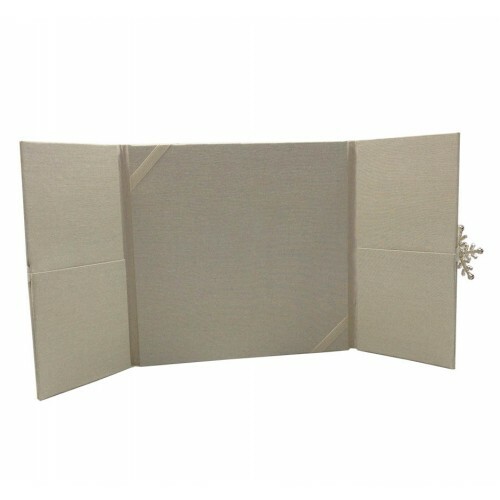 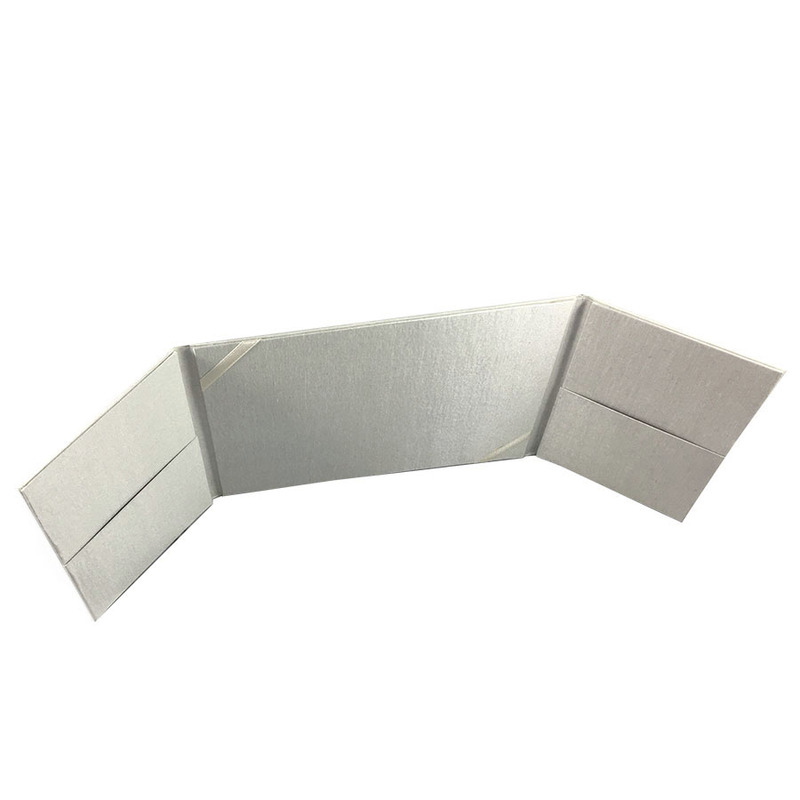 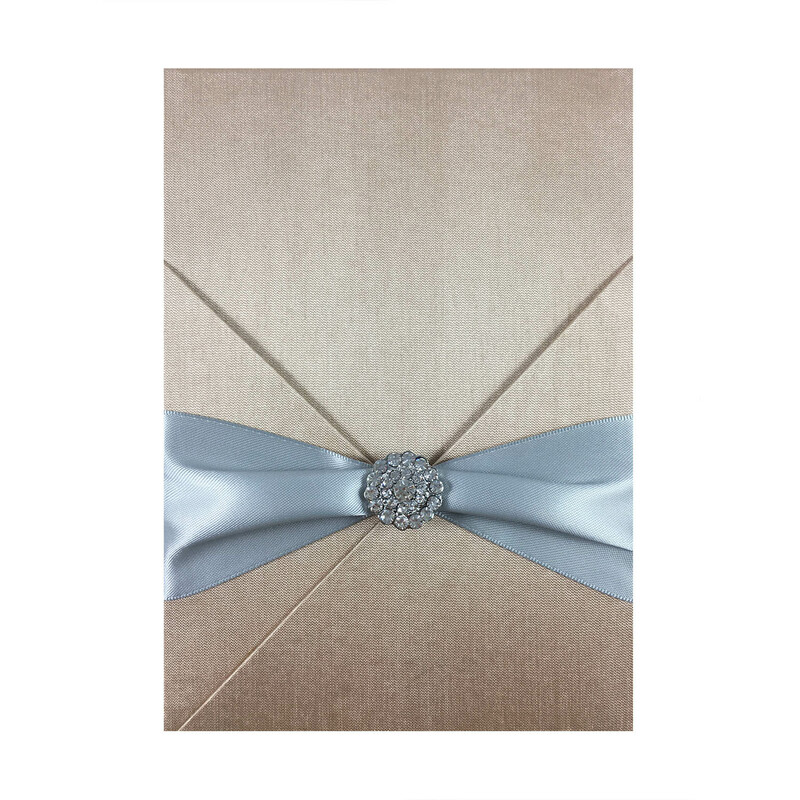 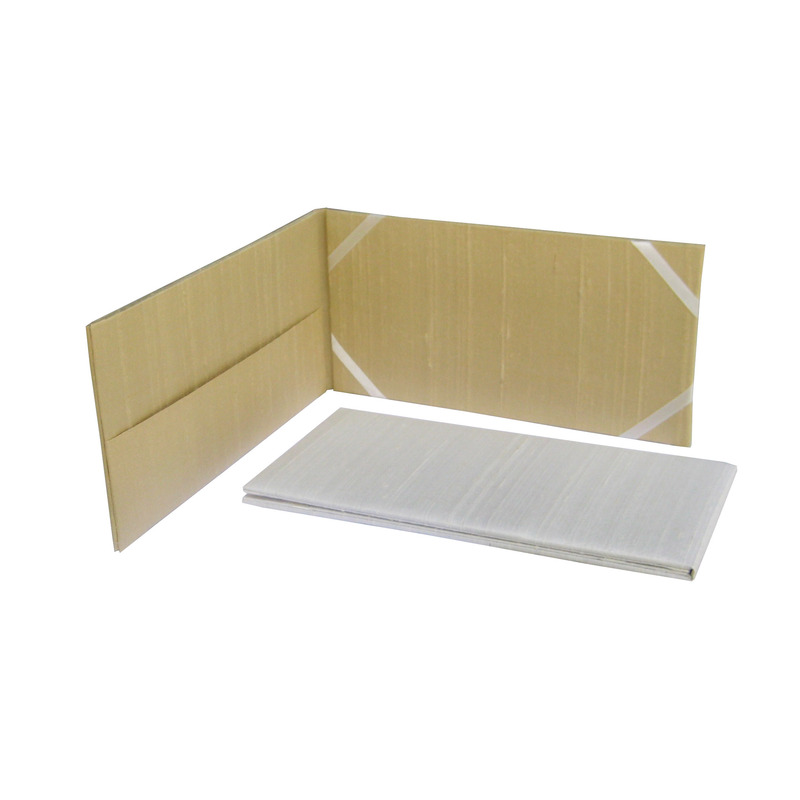 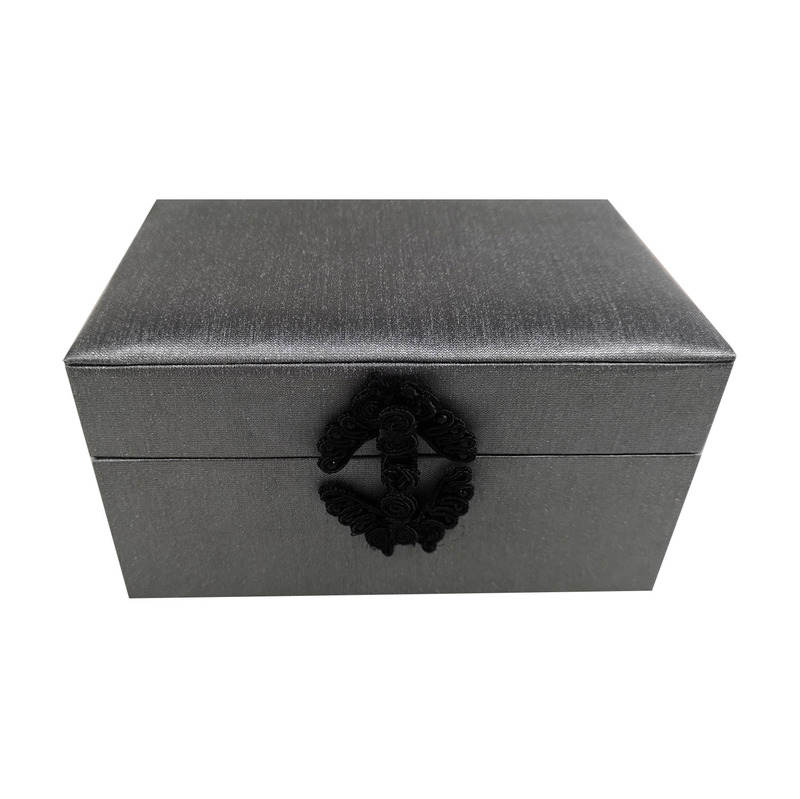 The interior has all needed to house invitation cards for wedding, event or bridal shower occasion. 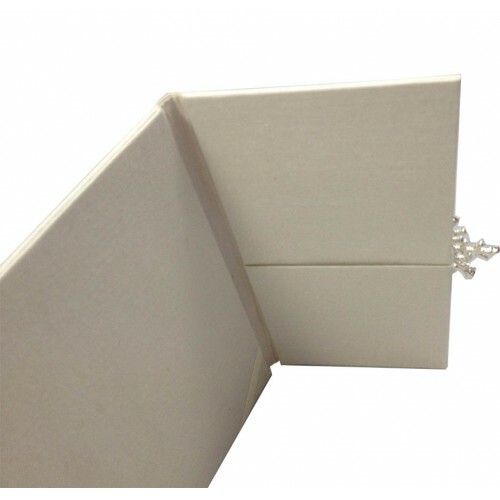 Pocket holder for example for RSVP cards to the left and then ribbon holder for the main invitation card on the right. 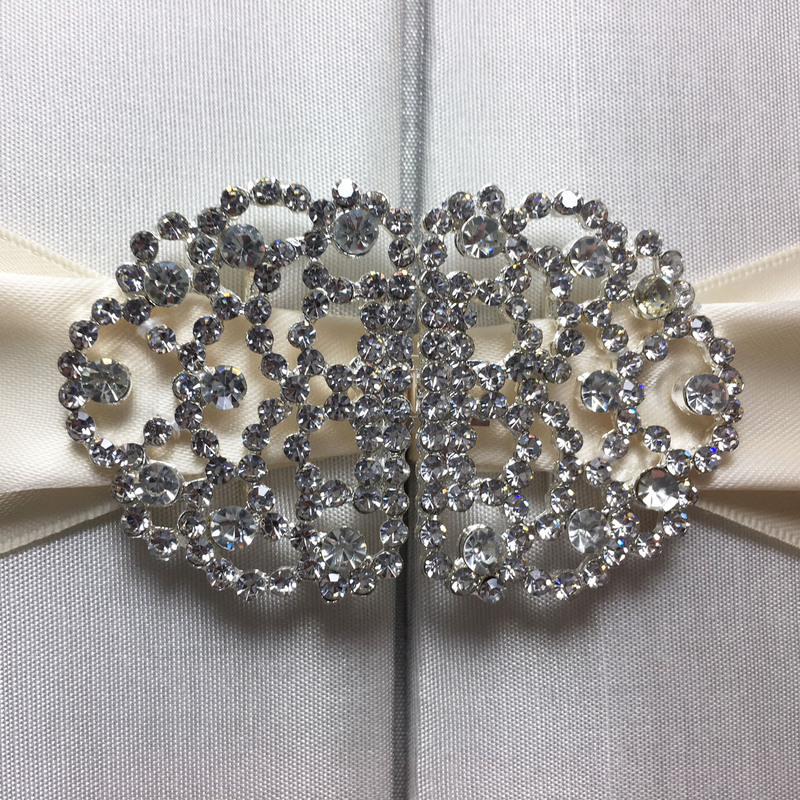 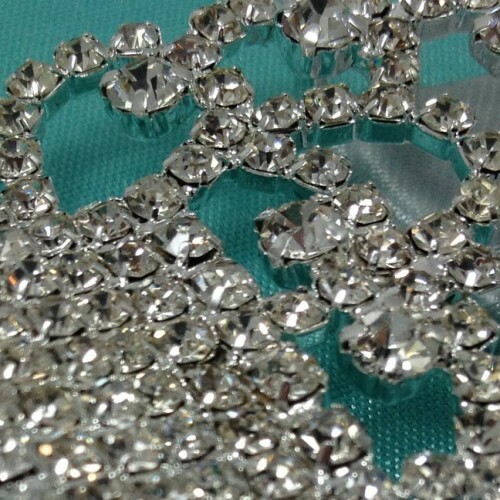 Furthermore we provide customisation service which means ever single design featured online can be ordered in a different size or color. 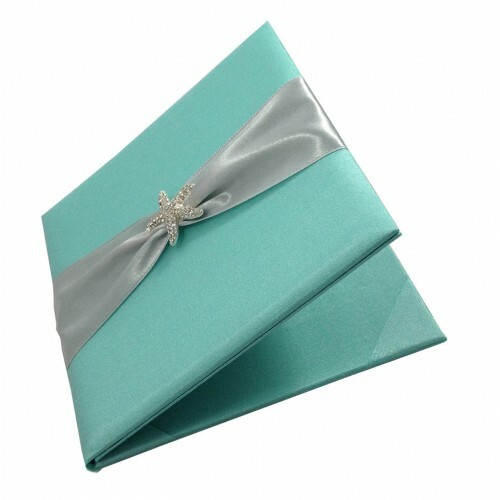 View also our color chart to see what is available in stock. 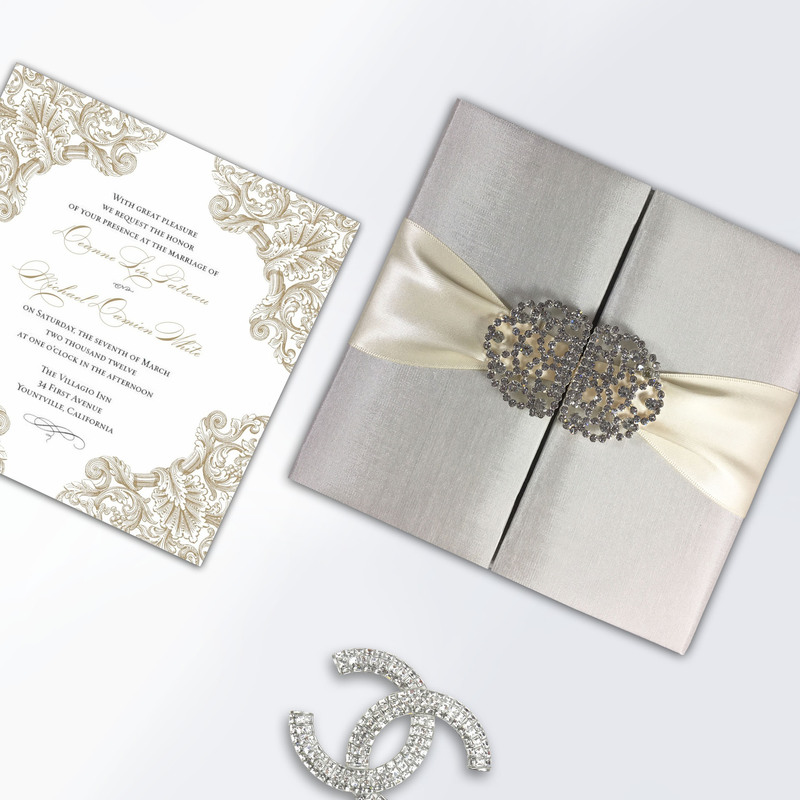 For a more cohesive theme, we also recommend this invitation design for your bridal shower or gala invitation cards.